If your interest is in progressing towards a career in the field of social care or in working with those with mental or physical disability, the older person, children in care, or those or those dealing with the challenge of addiction, the BA (Hons) in Applied Social Care is the degree for you. The Bachelor of Arts (Honours) in Applied Social Care provides teaching of theoretical concepts applied to social care practice, coupled with training in the required practical skills. It was developed in response to the needs of the social care sector in the context of the professionalisation of social care work and includes both theoretical and practice components. The hallmark of the programme is to provide the intellectual rigour of the disciplines and to emphasise the practical aspects of working in a social care environment. It is a necessary qualification for those wishing to pursue Postgraduate studies. Level 8 Learners will also be challenged to think in a rigorous and scientific way about management theory, social processes, institutions, policies and regulatory procedures, From the first to the final year of the programme there is a consistent emphasis on theory and practical skills that puts the client at the centre of all practice. Provide graduates with the underpinning academic knowledge to enhance their educational and employment opportunities and provide social care management skills that will be of lasting value to them. Enquire below to find out more about this programme. Carear Path The BA (Hons) in Applied Social Care will equip learners with the skills for work in a variety of social care contexts. Both government and private sector have shown high levels of demand for graduates trained in applied social care. Graduates may take up employment by the state or private sector and in community-based organisations. Social care workers may work with:Children and adolescents in residential carePeople with learning or physical disabilitiesPeople who are homelessPeople with alcohol/drug dependencyFamilies in the communityOlder peopleRecent immigrants to IrelandWith the BA (Hons) in Applied Social Care graduates may also work in management positions in these areas. 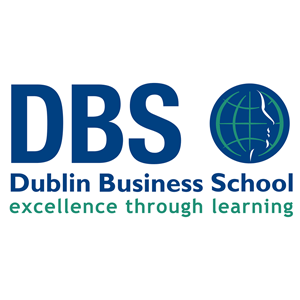 For information about Dublin Business School (DBS), please visit our Training Provider page on Whichcollege.ie by clicking here.